By and large, backups are an age-old, traditional IT function that haven’t evolved. This is likely because backups have long been perceived as a necessary evil for compliance or business continuity — and nothing more. By contrast, if mobile computing followed this same slow evolutionary trajectory, then we would still be using bulky backlit mobiles with unwieldy telephone keypads. This failure to evolve has grown problematic as new technologies take hold. The advent of cloud computing and enterprise adoption of hybrid cloud has opened up new possibilities and use cases for enterprise data, providing the perfect opportunity for backup processes to innovate and add more strategic value to the IT department overall. The world of data protection has remained largely unchanged for the past three decades. Most vendors, even the new entrants in this space, focus on capturing, storing, and recovering massive volumes of files without much thought to usability, flexibility, or completeness of the data. As a result, backups have historically been data hogs that mostly copy the same data to persistent stores over and over. In practice, these data dumps don’t have much meaning and leave companies unable to repurpose them or leverage them as strategic assets. These data dumps become particularly problematic as hybrid cloud environments take hold: a recent LogicMonitor survey estimated that as many as one in every four enterprise workloads will be housed in a hybrid cloud by next year. However, few clouds are truly hybrid today. The reality of managing multiple clouds through one interface introduces new challenges, especially when addressing workload mobility and portability. Legacy backup solutions fail to address these workload mobility issues, leaving IT departments with multiple silos of resources and no way to easily manage and move data. Until the workload mobility and portability issue is addressed, your “hybrid” cloud implementation is just a veneer over multiple clouds, making it difficult to realize the full potential of the hybrid cloud paradigm. Tired of the headaches in your recovery process? ❌ Platform Specific: As enterprises look for solutions that support hybrid cloud environments, traditional backups become more of a hindrance than an enabler. Imagine a backup that was stored on-premises and needs to be restored to a public cloud… Current solutions are unable to transform data into the appropriate formats and are ill-equipped to meet these challenges. ❌ Missing Application Metadata: Traditional backups don’t capture the application in its entirety, which means it is very difficult to gain insights into the applications just by inspecting their backup images. If you were inspecting a backup that was taken a few months ago for application-specific data objects (a few rows in a database application), you would not be able to simply extract those few data sets from the backup images. Without this critical data, the backup image is incomplete — and thus, inadequate. ❌ Vendor Locked: Legacy backup solutions hold data in a proprietary vendor-specific format, which makes it difficult to manage using industry-standard tools. Backup copies cannot be used across clouds because most backup applications store the backups on vendor-specific backup appliances that are not accessible across multiple clouds. These are just some of the fundamental issues that traditional backups fail to address. But what if backup images could be leveraged to enable workload mobility and portability across multiple clouds? This is where Trilio steps up to the plate. ✔ Cloud Native & Multi-Platform: Trilio natively supports S3 compatible storage as backup targets, which means IT users can migrate workloads to cloud storage directly, without intermediary hardware appliances such as an NFS caching device. ✔ Full Workload Capture: Trilio captures applications in their entirety, including all networks, security groups, metadata, and data so that backups can be inspected from any cloud. In other words, Trilio workloads are DR-ready and fully formed to access as running VMs. ✔ Open Standards: Trilio backup images are stored in an industry-standard VM image format called QCOW2, so the images are not locked into proprietary formats. There is a plethora of open source tools to manage and manipulate QCOW2 images and are available in any cloud. These three attributes of Trilio unlock workload mobility for cloud users and administrators. Backup process is no longer dumping data day after day. Openness and mobility automatically create opportunities for reusing and repurposing backups of cloud workloads, particularly when they retain critical application and configuration data regardless of where the workload was captured. Here are a few interesting use cases in which Trilio can be used as a hybrid cloud enabler — with little or no coding. Traditional backup solutions run agents in VMs to catalog and index files in the guest VM every time a backup is performed. The problem with this approach is that backup applications need to keep the index of files consistent with backup images. If a backup image is deleted, a corresponding update needs to be performed on files index. What if you moved your backups to a new platform or new cloud. Would you move your files index to new cloud? As you can see, the solution quickly becomes complex and does not fit the hybrid model. Trilio’s native support enables you to perform file search on the backup images directly – in the same or in different clouds. Trilio does not use agents in the guest to catalog files; indexing files corresponds to backup images. Backup images can be moved to any cloud without losing file search functionality. 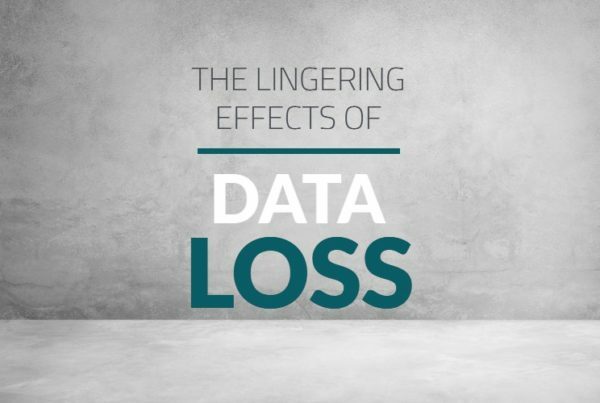 Traditional backup solutions require extensive bookkeeping to support file-level recovery, hindering the ability to move backups between clouds. Trilio backup images are fully formed, irrespective of guest operating system or the storage layout, allowing you to restore an object into a cloud. For example, if your guest has LVM or Windows dynamic disks, Trilio lets you search and retrieve individual files/directories or application specific data objects from any cloud. You may be employing a dedupe appliance to store your backup images. Dedupe appliances are ill-fitted for hybrid clouds, because the storage savings is locked in the dedupe appliance and cannot provide any means of mobility between clouds. Luckily, Trilio does not require dedupe appliances to achieve storage savings. 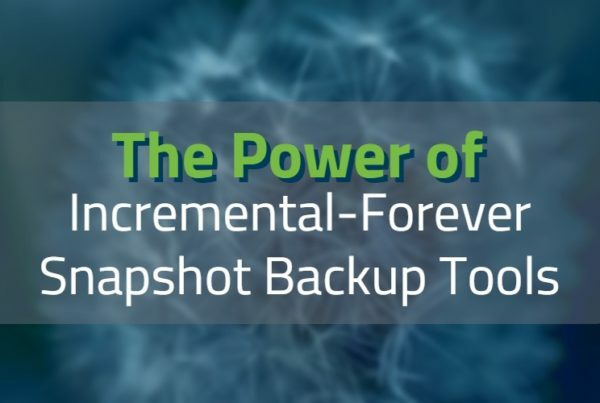 Our backup images can be moved between clouds without losing storage savings, while allowing users to retain the ability to recover any point-in-time to any cloud. For example, if the full size of your workload is 10TB and each incremental backup is only 1% of it, you only need to copy 100GB of data to the cloud but retain the ability to restore any point in time. 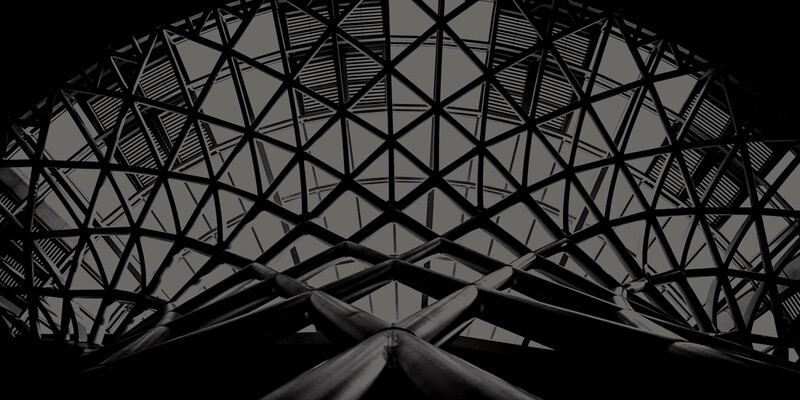 Virus and vulnerability scans are a regular fixture in IT, and vendors have developed elaborate solutions to protect against intrusions and detect vulnerabilities within corporate networks. These solutions require agents running on each server and can become cumbersome to manage. Trilio backup images are fully formed and stored in an open format, allowing some of this functionality to be offloaded from production systems to backup images. That means that organizations can leverage the data they’re already storing to proactively assess the safety of their cloud infrastructure. As a proof of concept, Trilio collaborated with technologists at Northeastern University to execute vulnerability scanning functionality against backup images. If Trilio uses AWS S3 as a backup target, vulnerability scanning solution can be implemented using few EC2 instances in AWS, as described in this YouTube video: NEU CS6620: Security Scan for OpenStack. Vulnerability scanning solutions can run on any Trilio backup repository. Traditional backups do not help recreate workloads from backup images in cloud environments. Trilio, by contrast, provides point-in-time backup images in a cloud-native format that capture every little detail about your workload that includes VM images, VM disks, VM networking information including IP addresses, the number of NICs, subnets, IP tables, etc. AWS uses Cloud Formation templates and OpenStack uses Heat templates for describing workloads and orchestrating workloads in the cloud. Trilio backup images are self-sufficient. They have data and metadata that adequately describe the workload. Trilio backup images can be described in cloud native templates and can be recreated in these clouds with ease. These images can be restored to any cloud via simple Python scripting. Trilio is a true hybrid cloud data protection enabler because of its cloud platform-neutral backup image format and its ability to natively support S3 compatible object storage. 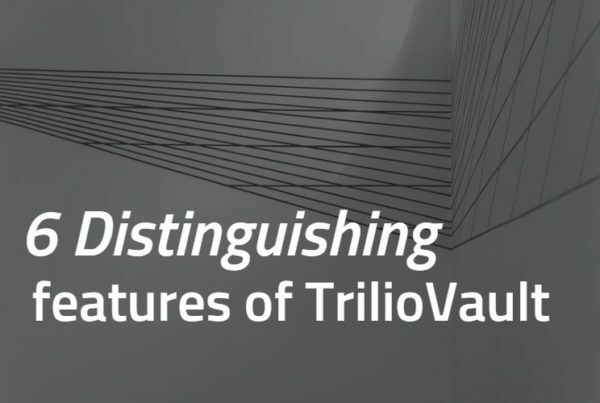 As traditional backups hinder enterprises’ ability to completely move to hybrid cloud, these three attributes of Trilio — an open QCOW2 format, fully-formed backup images, and S3 compatibility storage support — revolutionize the backup processes unlocking untapped, strategic value. Overall, Trilio plays an integral role as enterprises move to the hybrid cloud. Connect with one of our team members today to learn how Trilio can support your team. Cloud-native data protection for your OpenStack and RHV workloads.